Journey North engages students in a global study of wildlife migration and seasonal change. K-12 students share their own field observations with classmates across North America. They track the coming of spring through the migration patterns of monarch butterflies, robins, hummingbirds, whooping cranes, gray whales, bald eagles and other birds and mammals; the budding of plants; changing sunlight; and other natural events. Find migration maps, pictures, standards-based lesson plans, activities and information to help students make local observations and fit them into a global context. Widely considered a best-practices model for education, Journey North is the nation’s premiere “citizen science” project for children. The general public is welcome to participate. 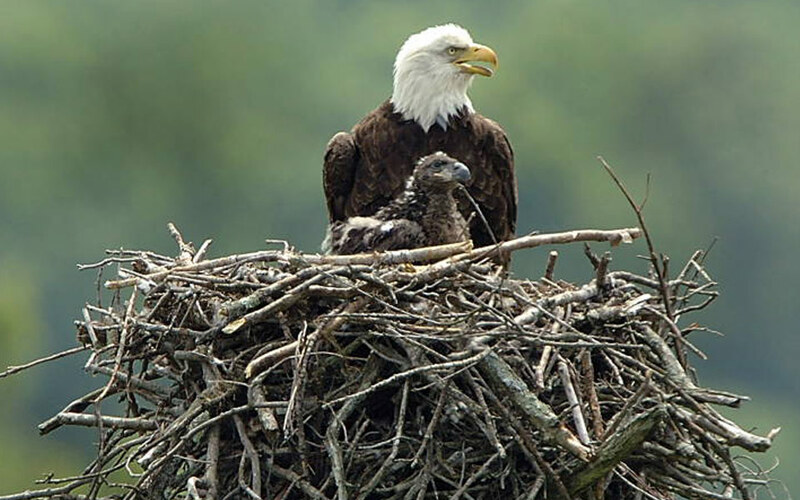 The bald eagle’s striking white head and tail are unmistakeable identifying characteristics. But did you know the eagle doesn’t get its white head until it reaches maturity at about 5 years old.